So you tend to be the first to use up your air? Are you always running out before the dive is over? 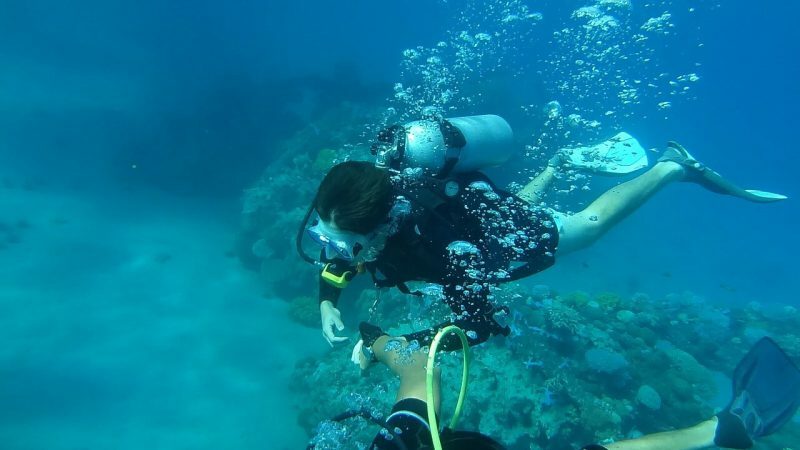 Then here are 10 tips to using less air while scuba diving that will help you extend your time under the water. By using these tips you will use less air and breath more efficiently. Before we get started you should know that everyone is different. Everyone has their own breathing rate and style. So don’t worry too much if you are not the most efficient breather out there. Even with these tips, someone will probably still use less air than you just because of your different metabolic rates. Having leaks is the fastest way to lose your air. Even a small leak over a half hour or so adds up to a lot of air being lost. Check all your equipment for leaks, even ask your dive buddy to check when you are in the water for leaks around your tank valve. Check your octopus (secondary regulator) for leaks. Does is free flow easily when inverted? You can detune it or position it so that it is always pointing down. 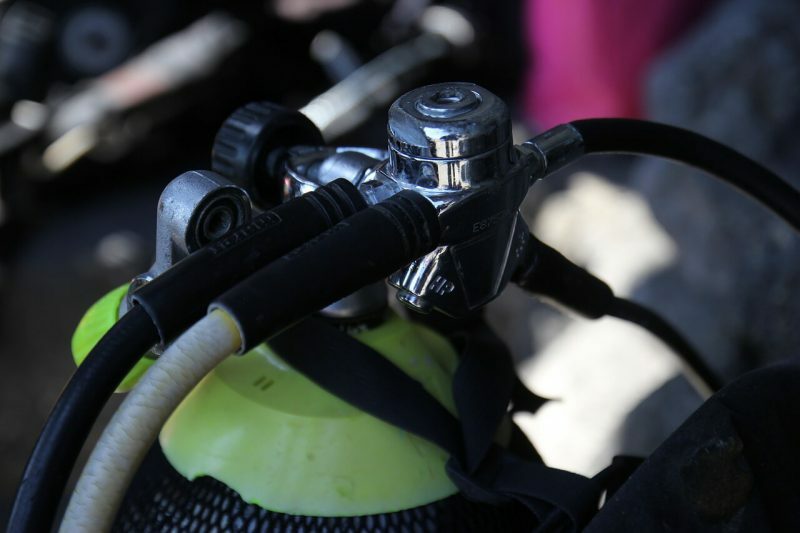 Check your BCD and its valves by fully inflating it and then submerging it in water and look for bubbles. Even a leaky diving mask causes you to use more air as you are constantly blowing air in your mask to clear it which gets frustrating and thus raises your breathing rate and you use more air. So check everything for leaks, tanks, gear, gauges, o-rings etc. 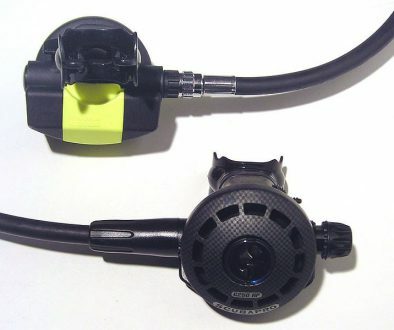 Make sure that you have a completely leak free system for your next diving experience. Controlling your breathing is one of the biggest skills to achieve to saving your air. Master breath control and you will be one of the last divers to need to surface because of air. Beginner divers tend to be a little anxious on their first few dives out. This triggers the body’s Fight or Flight response which in turn raises your metabolic rate which in turn causes you to breathe harder and use more air. So learning how to breath is crucial to using less air. When you are diving you want to relax and breath deep, slow, and evenly. Breath with your stomach so that you fill your lungs from the bottom and get a better flushing of carbon dioxide out of your system. For some breathing exercises and ways to improve your breathing just follow this link to my Scuba Buoyancy Control article. Here is a great little video of some breathing exercises that you can do. Enjoy. How your body is positioned in the water can help improve your gas usage. You want to have your body horizontal in the water with your legs behind and not above or below. many beginners will tend to let their feet hang below them too. Be horizontal allows for the least amount of drag on your body. Drag causes you to use more energy to as swim which in turn increases your metabolic rate and thus makes you breath harder. So adjust your trim by moving some weight to your back or using trim weights for your BCD or putting some weights on your tank. Experiment with this until you can float in a relaxed horizontal position in the water. You head and shoulders then will create a pressure wave ahead of you and hole for your legs and feet to pass through as you swim thus reducing drag. Controlling your buoyancy is critical to having a good diving experience and to use less air when you have perfected it. Being overweighted, for example, means that you have to put in more air in BCD, which is less air for you, and it also makes the BCD bigger which increases your drag again. The goal is to achieve Neutral Buoyancy. This will allow you to glide between fins strokes which is less swimming thus less energy expended and less air consumed. If you are not neutral then you are constantly finning to keep your depth and adding and removing air from your BCD. 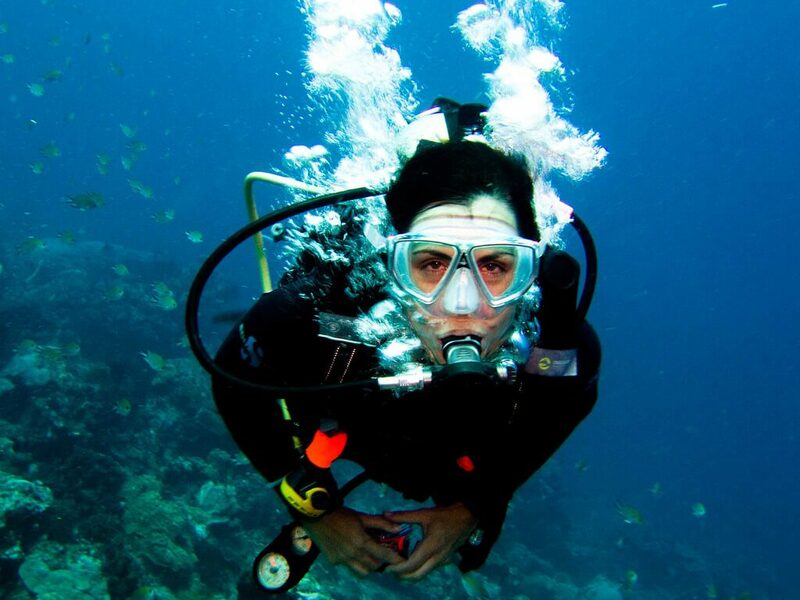 For some more tips on buoyancy control see my article on Scuba Buoyancy Control. How you swim will either improve your air consumption or increase it. The more you swim and fin the more energy you expend and this will increase your breathing rate. The energy cost to swim faster is an exponential function proportional to the square of the speed. So what this means is that to swim twice as fast requires four times as much energy and air. So if you swim half as fast as you do now, you will only use one-fourth of the energy and the air. So swim slowly and you will conserve more air. Being early will mean that you will calm and relaxed before the dive. If you are late and in a hurry means that you are working harder and exerting a ton of energy before the dive. This means that your metabolic rate will be high already and you will be breathing harder at the beginning of the dive and using more air. So get plenty of rest the night before a dive and be early to the dive site or boat so that you have time to calm down and relax before getting in the water. The way your regulator works is that it has to provide you air at the same pressure as the surrounding water. So what this means is at 33 feet (2 atmospheres), it takes twice as much air as on the surface to fill your lungs. Then again at 66 feet (three atmospheres), it takes three times as much air as on the surface and so on it goes the deeper you dive. 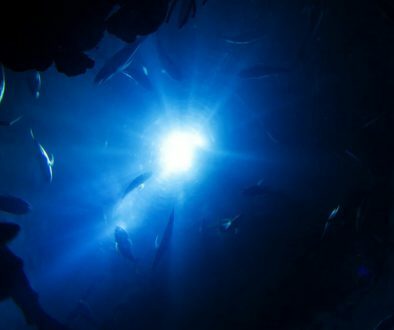 So if you have to swim over some open sea floor to the next reef or wreck, for example, then swim at a shallower depth and you will use a lot less air for the dive. This is like a no-brainer. If you are cold during the dive your body will react by tensing muscles and increasing your metabolic rate which will increase your air consumption. Don’t be fooled by “warm water” as with any water that is below 96 degrees F will take the heat out of your body and your body’s response will be to increase the metabolic rate to compensate. Getting cold will increase your breathing and will also create mental stress which you want to avoid while diving. Getting to cold and you can start to make bad decisions too. So stay warm, wear a wetsuit that is appropriate to the dive you are going to do. Taking a class in yoga to learn some breathing exercises is a great way to improve your breathing while diving. Actually taking just about any dive class will give you more confidence and this will lead to a more relaxed dive which leads to using less air. Ther are classes available that teach breathing techniques as well as buoyancy control so take a look into them and see if there is one for you. Being in control of your buoyancy and breathing will go along way in improving your air usage. Streamlining all your gear can reduce drag and you will then use less energy to swim. 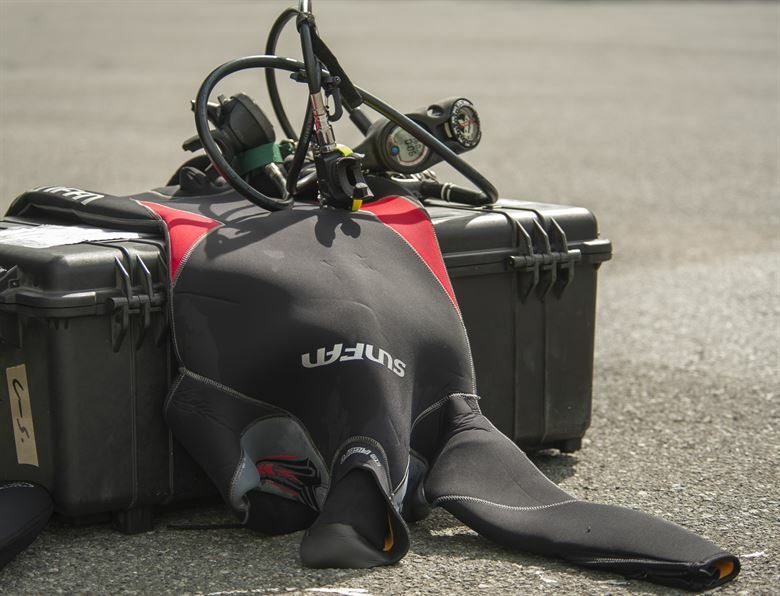 By streamlining yourself and your gear will help in being more efficient under the water. You can streamline yourself by making sure your legs are close together when you swim and use short fin strokes so that they stay within the slipstream your body creates. Equipment hanging off of D rings and your BCD all cause drag, so only take the gear you will for that dive and try to put things in the pockets of the BCD. For example, you don’t need a 40 pound BCD for swimming in the tropics. 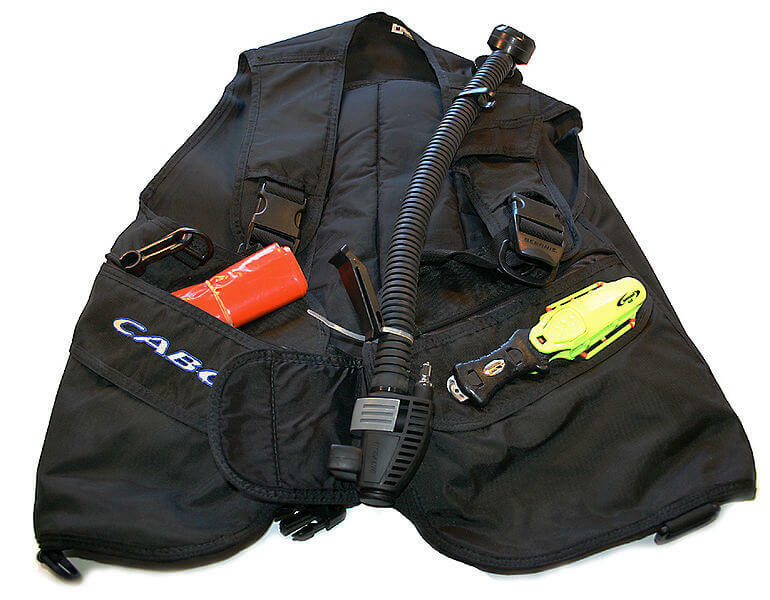 You can streamline your gear by shorting hoses, keep your console close to your body, maybe tuck your snorkel into your BCD or strap it to your leg. These will all help in streamlining your gear and making you a more efficient swimmer. Another thing you can do is to stay in shape. The better shape you are in the more efficient you breathe. Also the more you dive the more relaxed you will become and then you will also breath better over time. 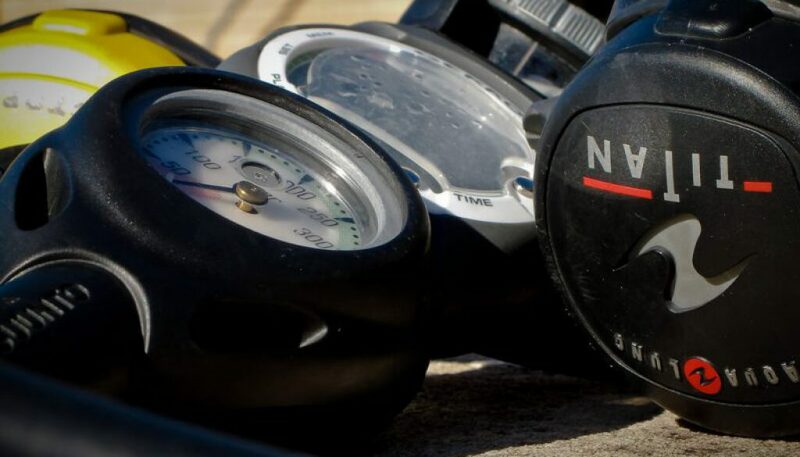 I hope you found the 10 tips to using less while scuba diving useful and I wish you a great time on your next dive outing. If you have any questions or comments please feel free to leave them below and I will be happy to get back to you. Great post. Even though I am not a diver myself, I have many friends who are. There are some great points that you mention, which I am sure many divers treat as a second thought but which you point out are so important to a successful dive. I have forwarded this to my buddies to make sure that they are aware as well. Hi Brad. You should think of giving it a try, it is a lot of fun. Thanks for the forward, I really appreciate it and let them know that I will have product reviews soon too. Take care and I hope to see u in the water soon. 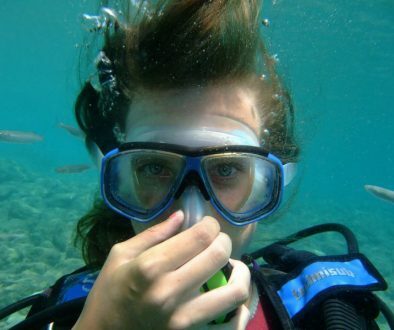 I’d like to go scuba diving again. I did the Great Barrier Reef like 20 years ago. I’m kind of interested in freediving too – I guess a freediver might be able to make his air go a long way! I supose the key is keeping your heart rate low. Nice to read, keep it up! Hi Iain. There has been a lot of change over the last 20 years on the Great Barrier Reef and unfortunately, it has not been good. There are still really beautiful areas of the reef but some of it has died over the years. The idea of controlled breathing is NOT to hold your breath but get the most efficient transfer of air through your lungs with each breath. Keep your heart rate down is important to yes. Thanks for stopping by and I hope to see u in the water.